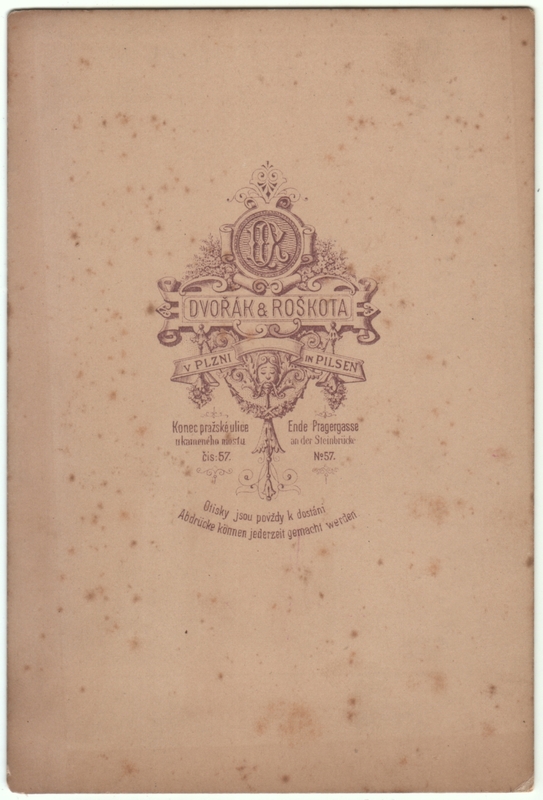 Photographer is Dvorak & Roskota of Pilsen. Otherwise undated and unidentified. Here’s a very stately countenance, wouldn’t you say? 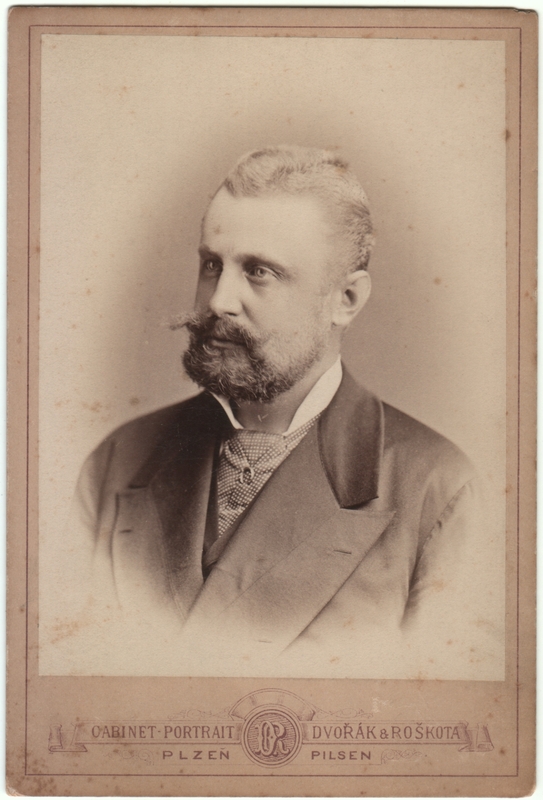 Pilsen (or Plzen) is now in the Czech Republic, but would, at the time of this photo, have been in the northern reaches of the Austro-Hungarian Empire. If you click here you can see that the back is written in both German and Czech. And yes, pilsner beer gets its name from this city. I’m intrigued by what appears to be a ring at his neck. It seems to be incorporated into the fabric of his tie (or cravat or jabot or whatever that’s called; I’m sure one of my costume expert readers will set me straight). I don’t believe I’ve seen anything like that before.